The Ballantyne neighborhood is one of the Charlotte area’s fastest-growing mixed-use developments. In Ballantyne Corporate Park, companies like Tree.com Inc and Snyder’s-Lance Inc find an ideal place to create corporate headquarters, and Charlotte residents are finding numerous employment options in the developing area. Its shopping and dining options draw people who are looking for recreational options, with the SouthPark Mall being the focal point of recreation. As Ballantyne has grown, so have the needs of the companies who call the area home. 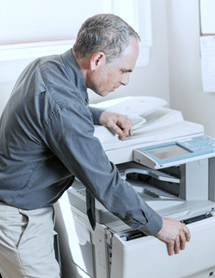 Sometimes those needs involve a need for printers and copiers. 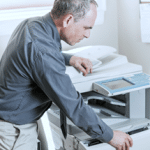 Carolina Business Technologies offers Ballantyne copy machine rentals that will keep growing businesses well supplied with the latest copy and print technology, even as they continue growing with their community. Whether your Ballantyne business is just starting out and needs a small printer or copier to handle your daily work, or you have a major corporation who needs multiple, large-scale units, you will find that CBT has the rental units that will handle your needs. When you contact us for Ballantyne copy machine rentals, we will work with you to determine what your needs are, and pair you with the machines that will meet those needs. We stock some of the industry’s best, most reliable copy machines and printers, including color copy machines, so you can be confident your machines will work as they should. One of the reasons you should contact CBT for your Ballantyne copy machine rentals is our customer service. Not only will we offer you the best machine for your needs, but we will also install it, connect it to your network and make sure that your staff knows how to use it. We will check it frequently for maintenance and service needs, and respond quickly if you have a problem. Should the machine break, we will replace it quickly with a new one. We offer contracts that meet your needs as well. Whether you need a copier for a week or three years, we will set you up with the right machine at a price that works within your budget. Contact CBT today to get started with your copy machine rental service, and ensure that you always have access to the copier or printer you need.